It's June already! Where is the year going? 10 days from now, we will be whooping it up at convention and having a fantastic time at Disneyland! 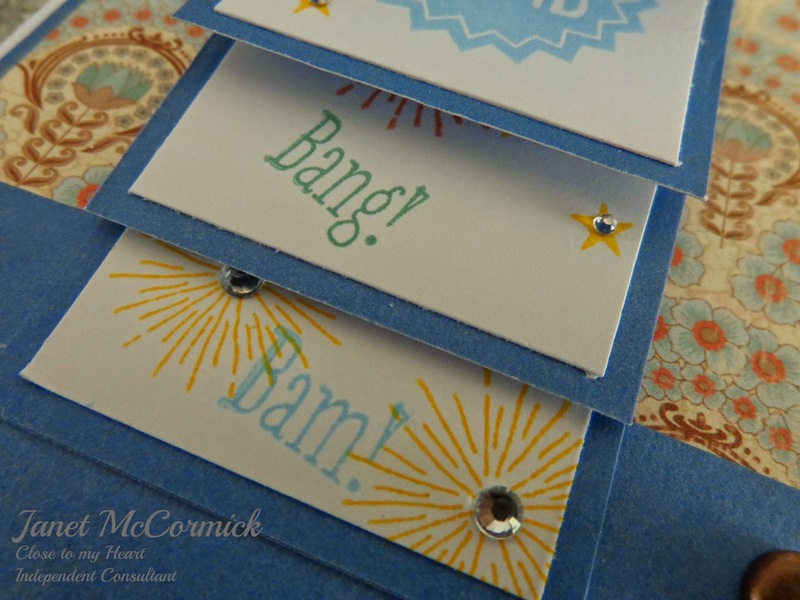 The Cross Canada Blog Hop this month focuses on fancy folds - cards, layouts, whatever! If you got here from Terry's blog, you are on the right track, but if you get lost along the way, just head on back to Michelle's blog in Nova Scotia where you will find the list of hoppers for this month. There are so many fancy fold cards on Pinterest and You Tube, and I selected to make a easel card as well as a waterfall card. For the easel card, I used Colonial White cardstock for the base and the easel, then added a a piece of Balloon Ride B&T. The Complements are from the Clementine and Balloon Ride sets! Hard to believe there is no stamping on this card! Both sentiments are from the Clementine and Balloon Ride Complements. Cool, huh? I popped up the chipboard Compliment with some foam tape. 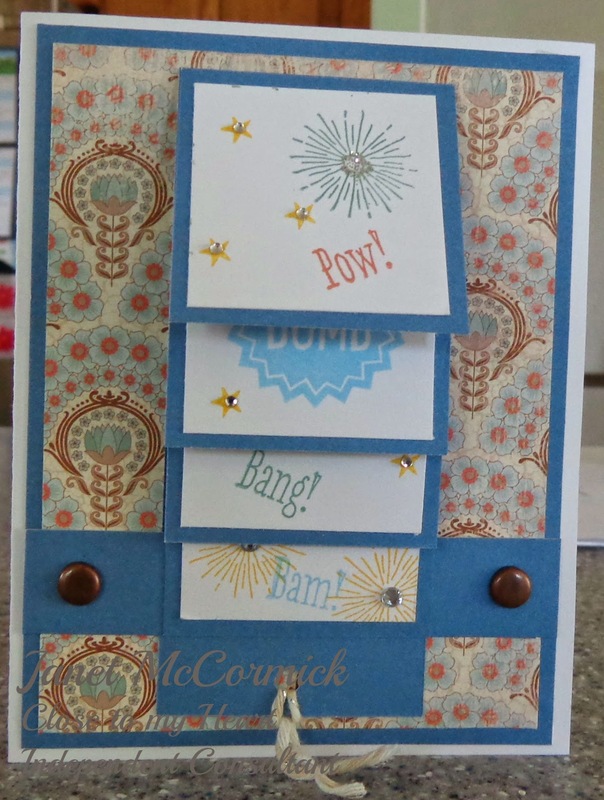 To add some bling, I added a few Bitty Sparkles and some 8mm Sparkles.The Complement on the inside of the card holds the card open. The waterfall card starts with a 5.5" X 4.25" White Daisy card base. The rest of the paper is from the Balloon Ride paper pack. The June SOTM worked great for this card! I stamped a few of the smaller images in Sorbet, Sky, Juniper and Sunflower on the White Daisy squares. Thank You was stamped in Cocoa. Not sure if I should colour it or leave it as is. I added the copper brads to hold it all together and a small piece of bakers twine for the puller. Some Silver Glitter Gel and Bitty Sparkles and it is done! If you would like more information about anything shown in the blog, please consult your local Close to my Heart consultant. I am the last stop on the Cross Canada hop, but you can keep going, or start again, with Michelle in Nova Scotia! Fantastic cards, the first is my favourite. Need to try the easel card, thanks for inspiring me. Great cards, pretty sure we could do this hop again. Super cute. I love them both. Great job ! I forgot about these slider cards. Time to do some. Love yours. Great job! That stamp set is perfect for a waterfall card.